We get this question a great deal. No worries, we know you often forget something or need to add something to your order. 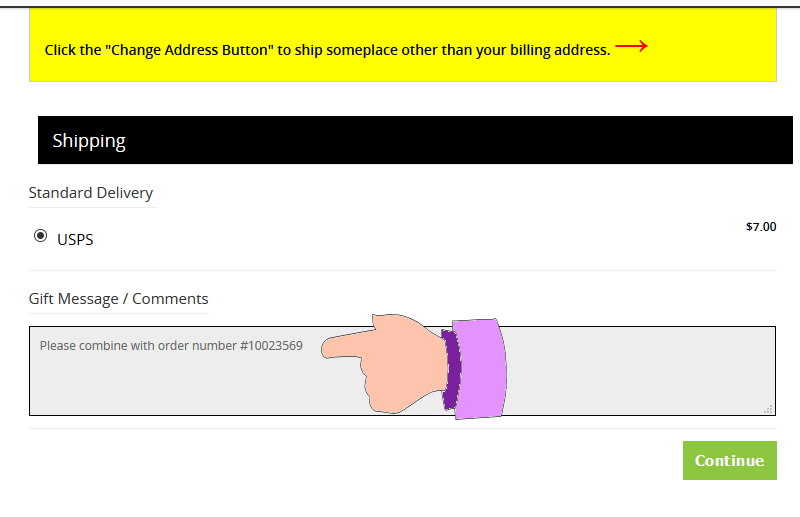 As long as your order hasn't shipped, you can checkout with the additional items you need and make a note in the comments (like below) and we will combine your orders and refund any additional shipping when they ship. Note however, that this can delay shipment of the first until the second order's items arrive. In the comments we need something to identify your other order with. Ideally the other order number, but your email address will suffice. If you plan on giving us a name, we need the address also to make certain we get the correct order to combine with.